Uniqueness of Raja Yoga Meditation practice at Inner Space? Over the years, I’ve had experience practicing meditation methods of many different shapes and sizes, so to speak. To name a few, these methods include mindful breathing exercises, walking meditation, Yoga Nidra, sound meditation, Reiki self-healing, systematic body relaxation, and various kinds of guided meditations. Having practiced such a large array of different techniques, I can say that the most important thing I have learned is that the journey of meditation, though highly collective, is such an individual process. On that same note, each form of meditation has unique features that may resonate with some, while at the same time not work for others. This is okay. While we may all be searching for a similar truth, the way of getting there can be highly personal. One method of meditation in particular that I have recently begun learning about and experiencing is Raja Yoga. Like others, this technique too has many unique aspects that I see having the potential to benefit many people. My goal in writing this piece is to identify the features of Raja Yoga that I, as a beginner, have observed as being unique or different from other methods I’ve experienced. Ultimately, my hope is that everyone has an equal opportunity to discover their own path to enlightenment, whatever that may mean for them. Through offering an explanation of ways in which Raja Yoga is unique, my wish is that someone who may be struggling with finding their own path may find some truth in the ideas and goals of this particular meditation practice. A common misconception about meditation in general is that the goal is to think less. For some, this very well may be the ultimate goal, which is perfectly fine. For others, however, that goal may not be realistic or desired. A similar observation I have had is that many meditation techniques emphasize the observation of thoughts, but do not go any further with analysis of those thoughts. Again, for some this can be a highly effective method for uncovering their truth. For others, it may not resonate. 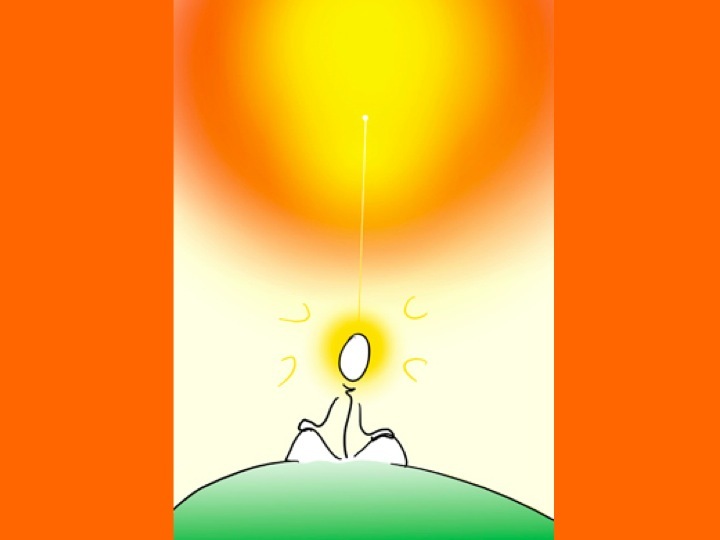 Two important and distinguishing features of Raja Yoga meditation is that thinking less is not necessarily a goal. Rather the ultimate goal, through the observation of thoughts as well as intellectual and conscious evaluation of those thoughts, is to become the master of your own mind and restructure the thoughts themselves. In a sense, this is a very deep practice in mindfulness. By first observing and analyzing the thoughts as they come, and then mindfully and consistently inserting new thoughts in their place, we must essentially become doubly mindful. In short, the practice of Raja Yoga is a highly thoughtful practice, which may certainly appeal to many people. 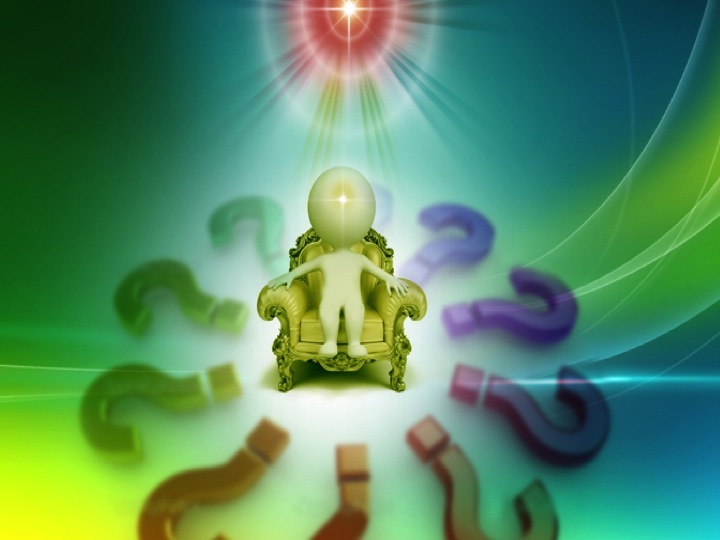 Another aspect of Raja Yoga meditation is the emphasis on connection to the Supreme. It’s first important to remember that the idea of the Supreme is highly personal, and the meaning varies from person to person. But, in this method we do distinguish some particular, universal characteristics of this Divine Source including peace, purity, love, and power. When first practicing Raja Yoga, it is helpful for many to focus on this idea of the Supreme as an outside power, something to guide and inspire. However, with time and practice, it becomes clearer and clearer that these same qualities of the Supreme exist within each one of us. Thus, another goal of Raja Yoga is to uncover these eternal, beautiful characteristics that we already hold or in other words, uncover our soul. Through the deliberate restructuring of the thoughts towards ideas such as “I am a being of peace,” or “I am a being of love,” we begin to experience these ideas in a very real and embodied way more and more in everyday life. Raja Yoga is a very practical form of meditation. For many of us, we spend much of our time thinking. What this means is that we have a constant stream opportunity to practice the reforming of these thoughts. In other words, Raja Yoga can be practiced in any place, at any time, so long as there is a conscious awareness of the quality of our thought. By becoming the sovereign of our own mind, it becomes easier and easier to distinguish who we are and who we are not, leading ultimately to a much more peaceful, pure, and loving outlook on all aspects of life.